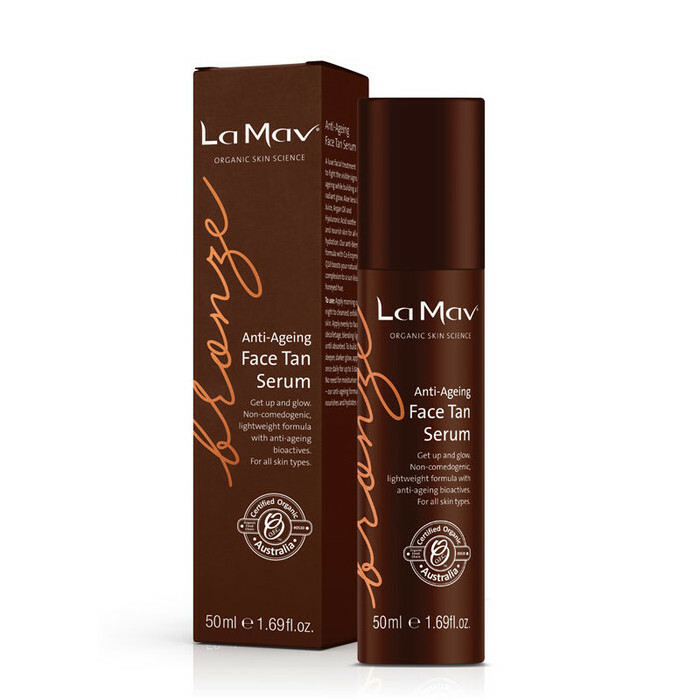 BRONZE By La Mav Anti-Ageing Face Tan Serum is the ultimate multi-tasker, deeply hydrating your skin as it gives your complexion a buildable, sun-kissed glow. The anti-blemish formula includes Aloe Vera Leaf Juice, Argan Oil and Hyaluronic Acid to soothe and nourish skin for lasting hydration. This is combined with Co-Enzyme Q10 to naturally reduce the appearance of lines, and boost the skin-repair process. Made in Australia, Certified Organic, Vegan & Certified Cruelty Free. Aloe Vera, Argan oil, CoQ, Cranberry, Green Tea, Rose water. *Aloe Barbadensis (Aloe Vera) Leaf Juice, *Rosa Damascena (Rose) Flower Water, *Glycerine, Dihydroxyacetone, Xanthan Gum, Cetearyl Olivate, Glyceryl Caprylate, Sodium Stearoyl Lactylate, *Argania Spinosa (Argan) Kernel Oil, Sorbitan Olivate, Acacia Senegal Gum, Hyaluronic Acid, Sodium Anisate, Aqua, Camellia Sinensis (Green Tea) Leaf Extract, Vaccinium Macrocarpon (Cranberry) Fruit Extract, Uniquinone (CoQ10). 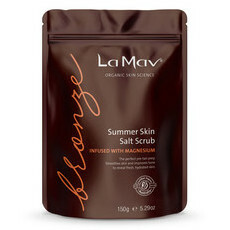 Apply morning or night to cleansed, exfoliated skin. Apply evenly to face and décolletage, blending lightly until absorbed. To build a deeper, darker glow, apply once daily for up to 3 days. No need to follow with moisturiser, as this anti-ageing formula nourishes and hydrates skin. 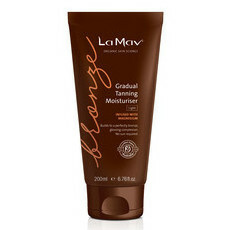 I found this product actually drying for my skin with a tight feeling & a pale yellow attemp at a tan. I am NOT impressed! I bought with the Eco tan for the face and this one and although this one is easier to apply being in a pump bottle, I am not as impressed by the colour. It doesn't really tan at all that I can notice. Much happier with the Eco Tan overall apart from the dripper bottle delivery of it which is pain.